This property is 1 minute walk from the beach. 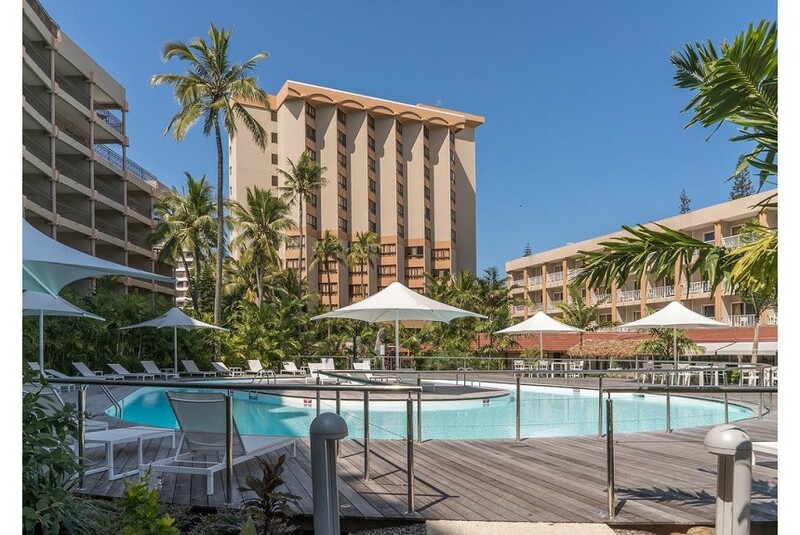 Offering a year-round outdoor pool and stunning sea views, Nouvata is located on Anse Vata bay, 5 km from the centre of Noumea. Surrounded by tropical gardens, the hotel has a sun terrace and an on-site restaurant and bar. Guests enjoy Free limited WiFi, 250MB per day per room. For your comfort, some rooms are featured with free toiletries, tea and coffee facilities, a kettle, hair dryer, safety box, iron and iron board and a flat-screen TV. There is a 24-hour front desk at the property. The hotel restaurant, L’équilibre offers buffet service at breakfast, lunch and dinner time. Facing the sea, The Codebar offers an array of cocktails, snacks and tapas as well as a wine list. The hotel also features conference and meeting facilities, as well as an on-site hairdresser, beauty and massage centre, pharmacy, and free parking.